In the Supreme Tribunal of Justice (TSJ) they take very serious that of supreme and for that reason it has not trembled it the pulse to assert its decisions, at the cost of almost closing another power of the state as the National Assembly. 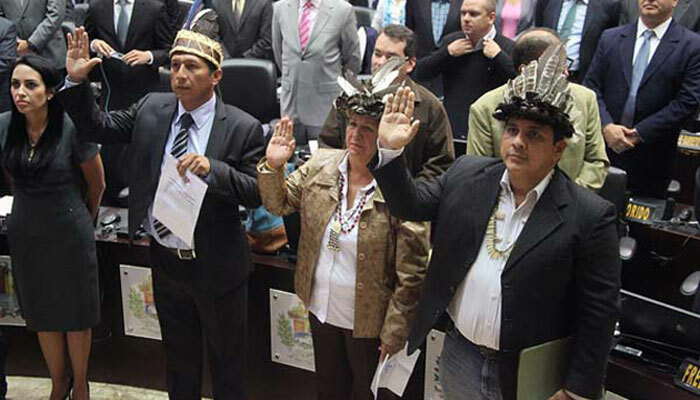 This was demonstrated by the Electoral Chamber in its ruling number 1 of 2016, in which it declared the parliament in contempt for not complying with its decision 260 of 30 December 2015 in which it temporarily suspended the inauguration of Amazonas’s four deputies elected on 6 December of that year, until it determined the veracity of the chavismo allegations that there were irregularities in that electoral process. In the judgment jointly drafted by the five Justices of the Chamber, the highest tribunal ordered the “immediate disincorporation” of the deputies Nirma Guarulla, Rommel Guzamana and Julio Ygarza, the three legislators that the Democratic Unity Roundtable (MUD) obtained In the elections and who took possession with the rest of the 109 opposition parliamentarians, otherwise all the decisions adopted by the Legislature would be of no value. The reason? For the TSJ the three challenged deputies are not deputies and are usurping functions; and since the Constitution in its article 138 “establishes that all usurped authority is ineffective and its acts are void”, then “are vitiated by absolute nullity and therefore those decisions dictated by the National Assembly from the incorporation of the mentioned citizens are non-existent”. Hours after the ruling was known, Guarulla, Guzamana and Ygarza voluntarily disincorporated themselves, but after waiting almost seven months for the maximum tribunal to decide their case they rejoined the parliament, reason why the Chamber also declared the National Assembly in contempt once more and warned again that all its decisions would be void while these three legislators were in the parliament. 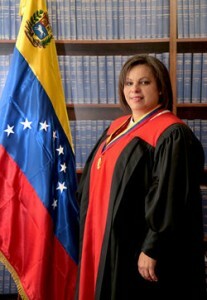 “In view of the factual and juridical circumstances hitherto evidenced, and in order to guarantee the article 253 of the Constitution of the Bolivarian Republic of Venezuela, in addition to the legal order and justice, it is reiterated that citizens Nirma Guarulla, Julio Haron Ygarza and Romel Guzamana effectively incurred in contempt of the protective precautionary measure decreed by this Chamber, and subverted the authority and proper functioning of the Administration of Justice, represented on this occasion by the Supreme Tribunal of the Republic, as a fundamental pillar of the Democratic and Social State of Law and Justice, and, finally, of the Constitution of the Bolivarian Republic of Venezuela, supreme rule (article 7 eiusdem), which is why this Chamber orders the National Assembly’s Directive Board, THE IMMEDIATE DISINCORPORATION of the citizens Nirma Guarulla, Julio Haron Ygarza and Romel Guzamana”. 1- Accepts the intervention of third parties. 2-Ratifies the decision N° 260 of 30/12/2015. 3- The contempt is applicable. 4- Orders the disincorporation 5- The acts dictated by the National Assembly while the deputies are incorporated are null. Joint presentation: Indira M. Alfonzo Izaguirre, Malaquías Gil Rodríguez, Jhannett María Madriz Sotillo, Fanny Márquez Cordero and Christian Tyrone Zerpa.